Found a great place for Japanese Sushi!! Grab a sushi, sashimi or other japanese food from the Japanese counter and sit in to enjoy with free flow of Japanese Green Tea. 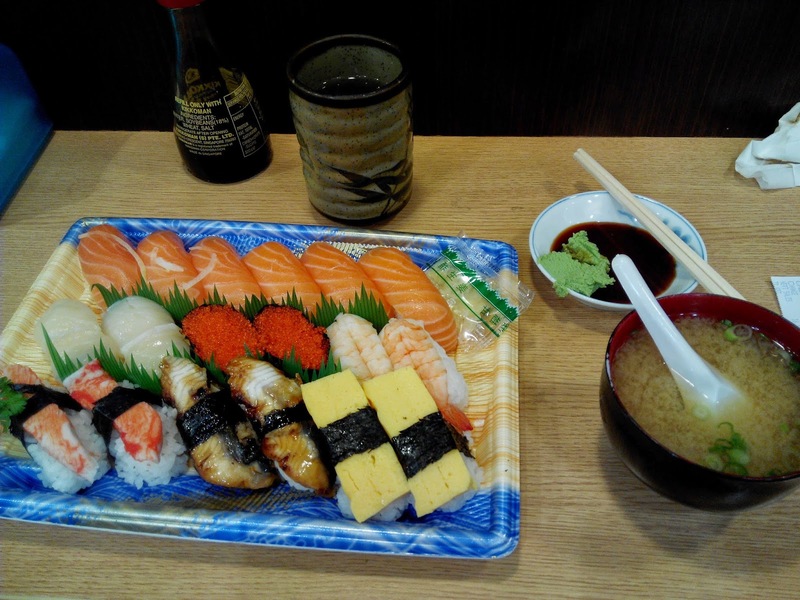 Other food available for order at the small counter are soba, miso soup and various Tempura. Only $17.50 for the above! !